"Robyn Harding has once again proven herself to be a master of domestic suspense, weaving a complex tale of friendship, parenthood, and long-hidden secrets that forces us to consider whether we can ever truly leave our pasts behind. 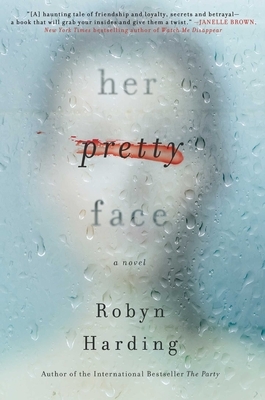 In the compulsively readable HER PRETTY FACE, everyone is hiding something, and the only question is whether anyone will survive unscathed as the action reaches its dramatic conclusion." "Robyn Harding knows exactly what she’s doing, and she did NOT come to play." "A domestic thriller perfect for fans of B.A. Paris, Megan Miranda and Liane Moriarty...[an] enjoyable novel, with just the right amount of suspense to make it a real page-turner, as well as a few smaller reveals along the way that will truly shock you." "Harding is an adept and skillful writer who writes suspense remarkably well, with seemingly little effort."